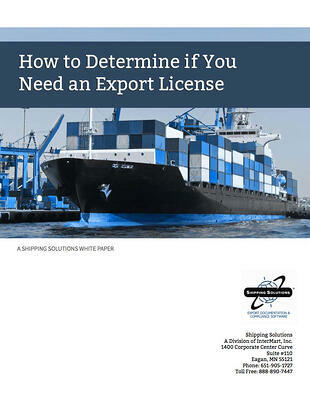 Make sure you know how to determine if you need an export license. A small percentage of total exports and reexports require a license from U.S. Department of Commerce or the U.S. Department of Defense. As the exporter you must determine whether or not your items require an export license based upon the goods’ technical characteristics, the destination, the end user, and the end use. Failure to obtain a required export license can result significant fines, restrictions on future exports, and—in the most egregious cases—jail time. How to proceed when your items need or don’t need a license.